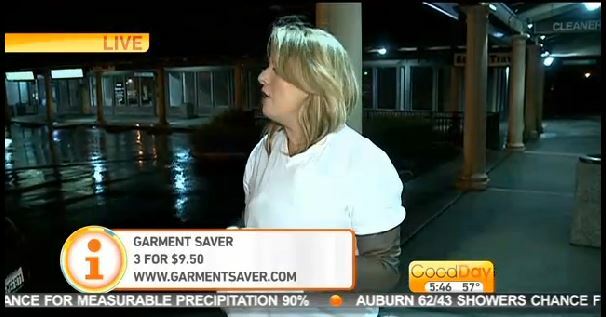 Congratulations to our Client Garment Saver for their feature on Good Day Sacramento! With hair in place and makeup finished, a quick wardrobe change could result in lipstick smears and foundation stains on your favorite clothes. Thankfully there is Garment Saver Makeup Guards, theÂ perfect solution for a flawless look. 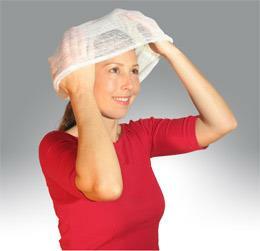 The sheer gauze and fiber disposable barrier covers hair and face completely, protecting both makeup and garment. The Garment Saver Clean Cape also offers perfect protection. The water resistant cover up slips over your shoulder to keep stains away from your outfit. Perfect when using mineral powders, hairspray, styling gels, foundation. Organize & protect your wardrobe…with style! Check them out at GarmentSaver.com!